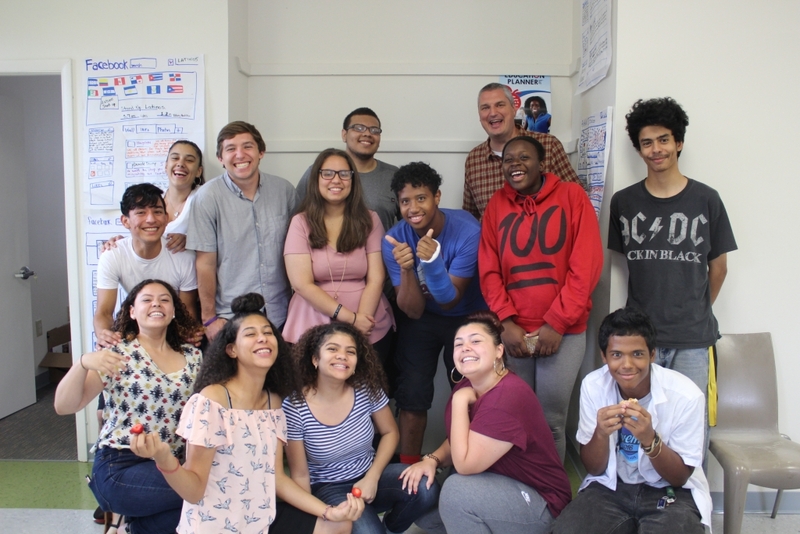 Committed to North Philadelphia’s Fairhill community since 1993, Providence Center offers education programming for children, youth, and adults. Our mission is to educate people to have the power and spirit to transform their lives and community. Providence Center was founded by the Society of the Holy Child Jesus in 1993 in response to the closing of St. Edward parish and school, where the Sisters had taught and worked for over one hundred years. 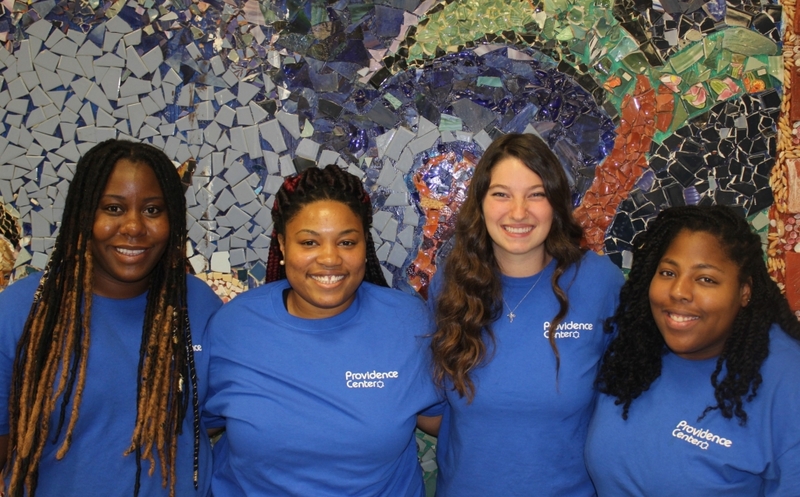 From the beginning, when the Sisters went door-to-door asking neighbors what they needed, Providence Center has focused on addressing the pressing needs of our community. We are guided by the Sisters’ commitment to “meet the wants of the age”, and we carry out their legacy of being “a love full of action”. Providence Center is located in the heart of Fairhill, a vibrant community in North Philadelphia. The people we serve are primarily from Puerto Rico or immigrants from the Dominican Republic, Mexico, or Central America. Our community faces many challenges, including poverty rates that are the highest in Philadelphia. Over half of our community lives below the poverty line, and the median household income is under $15,000. In addition, Fairhill struggles with Philadelphia’s highest murder rate, more than five times the city’s average. At the same time, the spirit and resiliency of our neighbors inspires us, and they are working hard to build better lives for themselves and their families. Providence Center supports revitalization efforts in our community, and we accompany our students as they strive for futures full of possibility and grace. 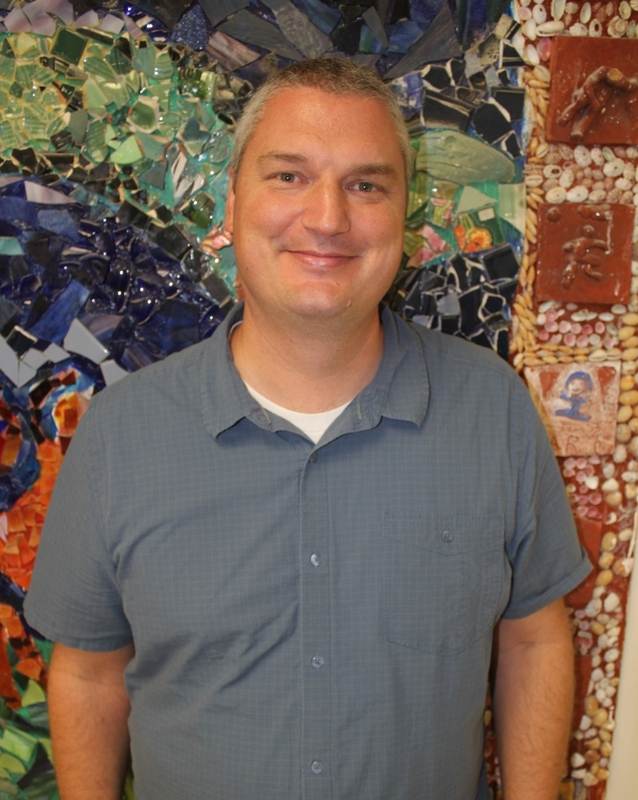 David has experience in community engagement and program development through his time at Cabrini College and Philabundance He served for three years as a volunteer at Annunciation House in El Paso, Texas and Ciudad Juarez, working with immigrants and refugees. Julie received her Master of Social Work degree in 2014 and became passionate about community development while working with formerly homeless adults in New York City. She later served as a Youth Development Specialist with the Peace Corps for more than 2 years in rural Costa Rica, returning in 2018. Julie is devoted to inspiring curiosity in children as lifelong learners, fostering healthy social-emotional development, and empowering youth to be changemakers in their communities. Anne has been working in various English as a Second Language (ESL) settings across Philadelphia since 2015. She has a deep passion for language learning and teaching. Anne strongly believes in facilitating and co-constructing learning in the language classroom while also honoring the knowledge and skills that each student brings to the learning community. Charito supports the residents of the Fairhill community in her role as Providence Center’s Community Organizer. She also facilitates our teen service and advocacy program, ¡YÁ!. Charito passionately supports youth and adults as they build on the strengths in their community. She leads the ¡YÁ! team as they advocate for better access to healthy, high-quality food, clean and beautiful community gardens and parks, and social justice in Fairhill and throughout the city. Alexis studied Early Childhood Education at Xavier University and loves working with youth of all ages—especially teens! She is passionate about bringing people together across differences and has experience working with youth through camps and various childcare programs. 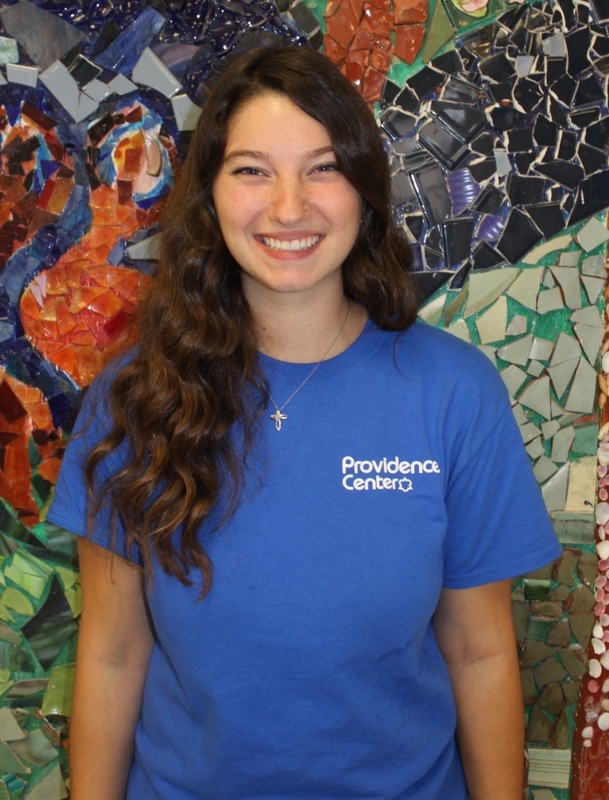 Alexis is working at Providence Center through the Jesuit Volunteer Corps for the 2018-2019 school year. 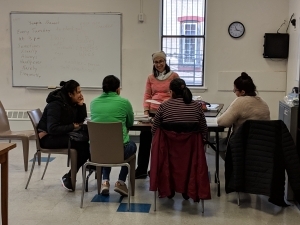 The teachers in our after school program, who have significant child development experience, lead activities with the children and help to supervise the Teen Leaders. We hire local teens who are trained and placed in paid positions in the after school program. They serve as role models for the children while also receiving job training, college preparation, and enrichment activities throughout the year. 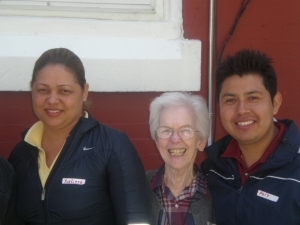 Sr. Peggy has many years of experience as teacher and a program director. She was the principal at St. Edward School and is a co-founder of Providence Center. Our ESL teachers have years of experience teaching English to and working with adults. Peg has volunteered with Providence Center for more than a decade, and she serves as our bookkeeper and helps in the office. Carmen is a long time resident of Fairhill and active member of the Legion of Mary at Visitation BVM parish. She provides indoor and outdoor facility upkeep for the center. Growing up, I was lucky to never have to worry about the safety of my neighborhood or the opportunity for a great education. When you experience the oasis of hope created by Providence Center for the neighborhood that we serve via teaching programs for adults and children along with other community engagement, the question is really why aren’t more people lining up to help. I’m at the stage in life when I get to do work that I want to do rather than have to do. How great is it to actually have the chance to make a difference in the life of a child who has huge promise and little opportunity? Being the product of and growing up in a working class Philadelphia neighborhood I have experienced firsthand the daily challenges and the impact that a Catholic education and organizations have had on my life. 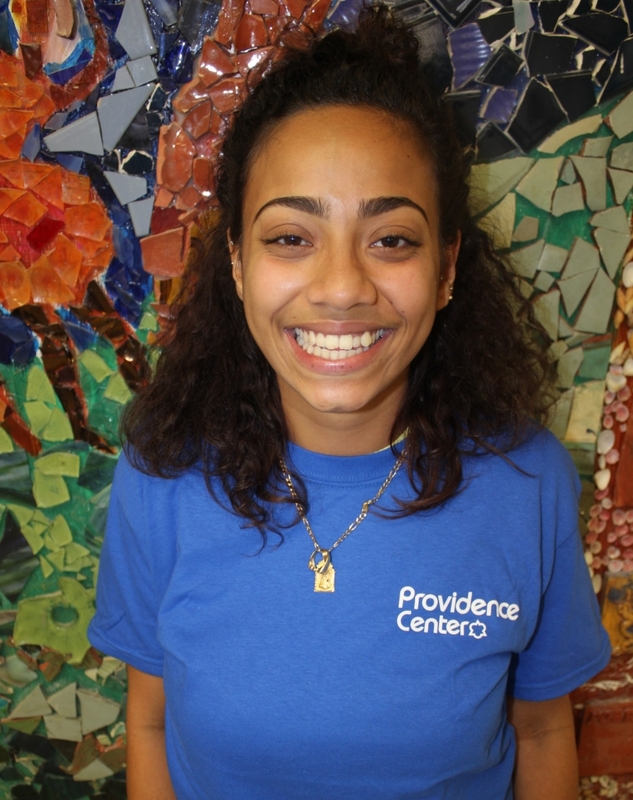 Recognizing the positive impact that the Providence Center has made within the Fairhill community, I view my service to the organization as a means for me to give back for all that I have been blessed with.